Located in Urville, in the heart of the Côte des Bar since 1808, the Drappier family cultivates 40 hectares of its own vineyards. 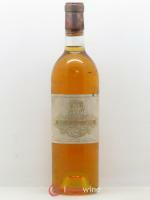 Charles de Gaulle appreciated the maison’s wines and regularly passed by there as a neighbour . The 12th century cellars testify the age of the wine growing culture in the region which was developed by the Cistercian monks of the Abbey of Clairvaux. The cuvées are sent to the best tables over five continents. Drappier is one of the best craftsmen of Pinot Noir, which represents 70% of the domain's grape varieties as opposed to 15% for Chardonnay and likewise for Pinot Meunier. 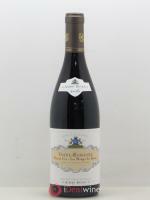 The Pinots come from the Urville vineyards but also from supplies from the Montagne de Reims, Bouzy and Ambonnay. 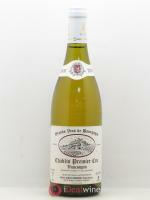 Chardonnays come from Aube and Cramant. Almost 75 hectares which stand out for their geology and climate thus contribute to Drappier production.Another special feature of the maison: secondary fermentation in the original bottle for all contents, from the demie to the very rare Primat (27 litres) and Melchizedec (30 litres). Drappier is the only maison worldwide to do this. 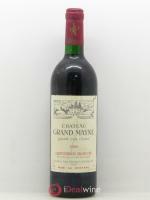 Then the vintages ripen for many years in the cool darkness of cellars dug in chalk in the last century. Remuage or turning is still done mainly by hand.The Drappier style is first and foremost a choice of vinification that is firmly focused on lightness and authenticity: the sulphur and sugar dosages are discreet, leaving plenty of room for the wine itself. This maison has reached the highest level and ranks among the most beautiful names of Aube and even of all Champagne. Those who love Champagne with character are particularly fond of it.